Perth’s David Urban has scored a gold medal at the tenth Special Olympics Australian National Games held recently in Melbourne. The 25-yr-old from Noranda was a member of the successful softball team which competed against teams from across the country. For David, who was diagnosed with an intellectual disability at the age of 16 months, the Games provided a double thrill. As well as being the firs medal he has won, he was also chosen as one of the torch bearers at the opening ceremony. The Games attracted more than 1200 athletes competing in an environment usually occupied by their sports heroes. The 16 events held in top venues were all connected to Olympic-type sports. David Urban has competed four times in interstate tournaments in ten pin bowling but this was his first softball event. 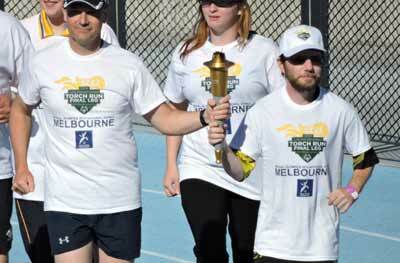 The Special Olympics Australian National Games are an annual event with an international meet every four years. The National Games also serve as a platform for athletes to compete at the Special Olympics World Summer Games 2015 to be held in Los Angeles, USA. The Torch Run and the lighting of the Cauldron are two of the most iconic moments of a National Games. Supported by the Law Enforcement Torch Run, a major supporter of the Special Olympics movement, athletes are given the opportunity to run with the Flame of Hope in the lead up to the Opening Ceremony. 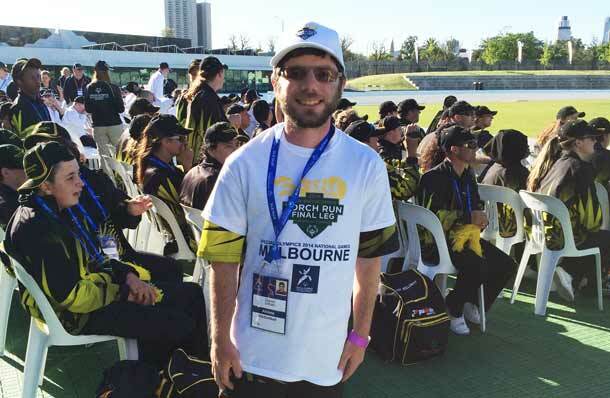 There was one athlete from each State selected to be Torch Bearers, and David represented Western Australia, the only Jewish member representing his State. In the crowd supporting him were his parents Michelle and John Urban.